In his first year back in the majors following a stint in Japan, Cardinals starter Miles Mikolas is headed to his first MLB All-Star Game. 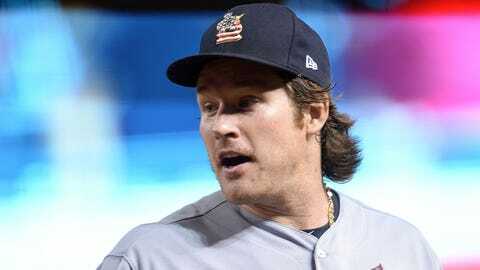 ST. LOUIS — After spending the last three seasons resurrecting his career overseas, St. Louis Cardinals starting pitcher Miles Mikolas is headed to his first MLB All-Star Game. In 17 starts this season, the 29-year-old Mikolas — who signed a two-year deal with the Cardinals last winter — has a 2.63 ERA with 75 strikeouts and 17 walks over 109.1 innings. This is the second straight season that a Cardinals pitcher has been named to the NL All-Star team, as Mikolas’ rotation mate Carlos Martínez was an All-Star in 2017. Cardinals infielder Matt Carpenter also has a chance to be an All-Star for the fifth time in his seven full major league seasons, as he’s one of five candidates for the NL Final Vote contest. Carpenter has a .258 batting average in 302 at-bats this season with 17 home runs and 41 RBIs.